Excludes commercial trucks and heavy duty trucks. Valid at Van Horn Alfa Romeo Fiat of Davenport. Plus tax where applicable. Present coupon during write-up. Not valid with other coupons or advertised specials. 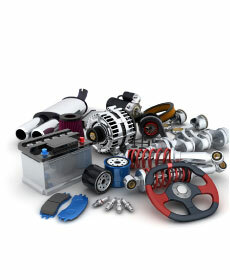 Inspect front suspension, steering linkage, shocks, struts and set all adjustable angles to proper specs. Available for most vehicles. Valid at all Van Horn Alfa Romeo Fiat of Davenport. Plus tax and supplies when applicable. Must present coupon during write-up. Not valid with other coupons or advertised specials. Most vehicles. Valid at Van Horn Alfa Romeo Fiat of Davenport. Plus tax and supplies where applicable. Present coupon during write-up. Not valid with other coupons or advertised specials.